Welcome to Tampa Bay, Florida! 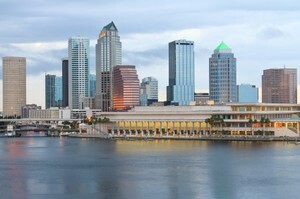 Your Next Home in Tampa Bay Starts Here! If you are looking to buy or sell a home in the Tampa Bay area, you have arrived at THE place to search for Tampa Bay real estate. YourNextHomeinTampaBay.com provides a FAST and EASY search for homes for sale including houses, condos, townhomes, lots, and multi-family properties. The information on this site includes up to date home prices and new listings. Information is provided by the My Florida Regional MLS (Multiple Listing Service) so if a home is no longer on the market, you will not see it here. Dedicated to making the buying and selling of Tampa Bay real estate an enjoyable experience, we have made it easy to search for all listed homes in the Tampa Bay area. Since the inventory of listed properties is updated constantly, please bookmark this page and come back often. You can sign up for a free account with saved searches and listing alerts while you are here. 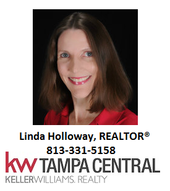 Linda Holloway would like to be YOUR source for information on Tampa Bay real estate. It would be my pleasure to help you with all of your real estate needs whether you are buying, selling, or investing! While some Tampa natives will be quick to tell you that Tampa is "the city" and Tampa Bay is a body of water, Tampa Bay has become a term that is affectionately used to describe our region, our sports teams, and our news. Most commonly the Tampa Bay area refers to Tampa, St. Petersburg, and Clearwater, the three principal cities adjacent to Tampa Bay. 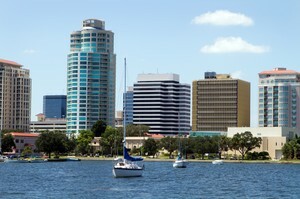 The Tampa Bay area is a beautiful place to call home with many lifestyles to enjoy. Whether you are a Tampa native, relocating to the Tampa Bay area, or somewhere in between, Linda Holloway would welcome the opportunity to help you find Your Next Home in Tampa Bay!